Today we’re gonna have a little chat about choosing a paint color. 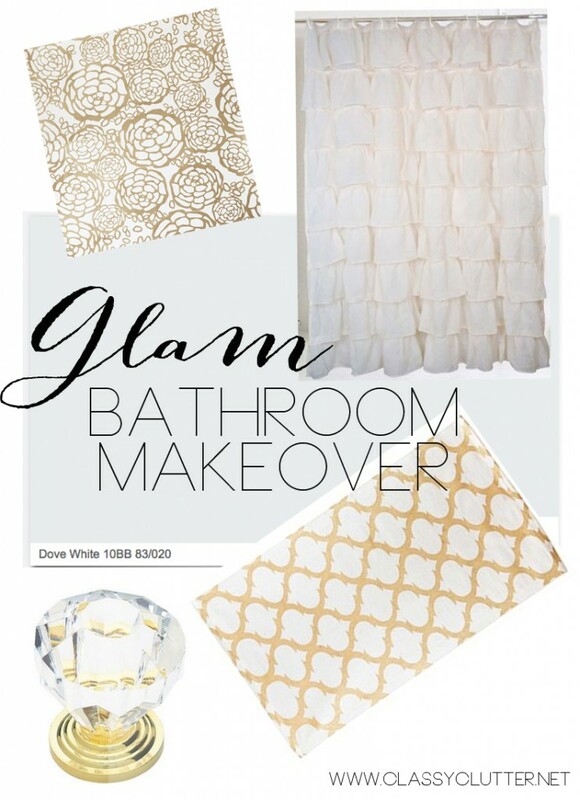 I am re-doing my bathroom. Just cosmetic stuff, paint, decor, etc. I’m a renter and my landlord is great about letting us customize the home to fit our taste while we live here. This is our bathroom now. We’ve since switched out the shower curtain but honestly, I’m bored of it! I’m ready for some big impact, gorgeousness to come into this tiny space. This is our ONLY bathroom in the house. Yes, for all 6 of us so it has to function and MUST be cute! Right? It’s the bathroom our family uses but also the bathroom that guests use. Not to mention, if the door is open, it’s one of the first things you see when you come in our front door of our home. 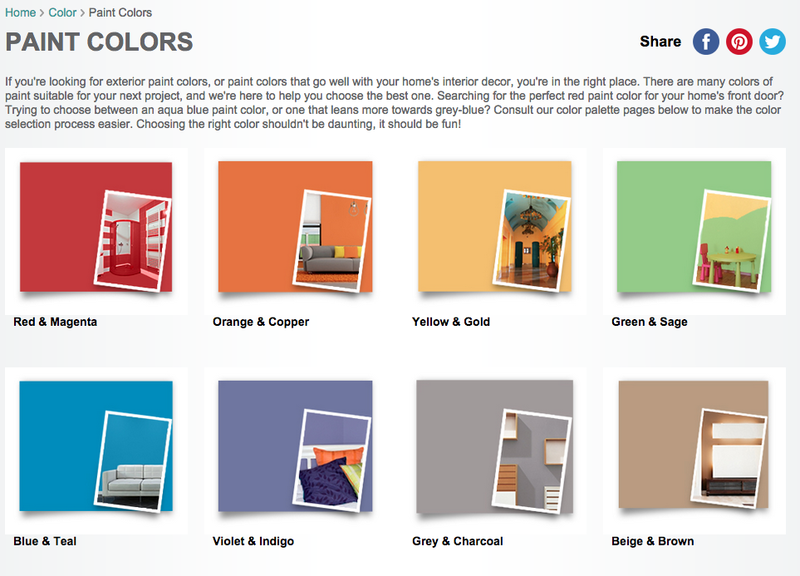 Choosing a paint color can be seriously hard. 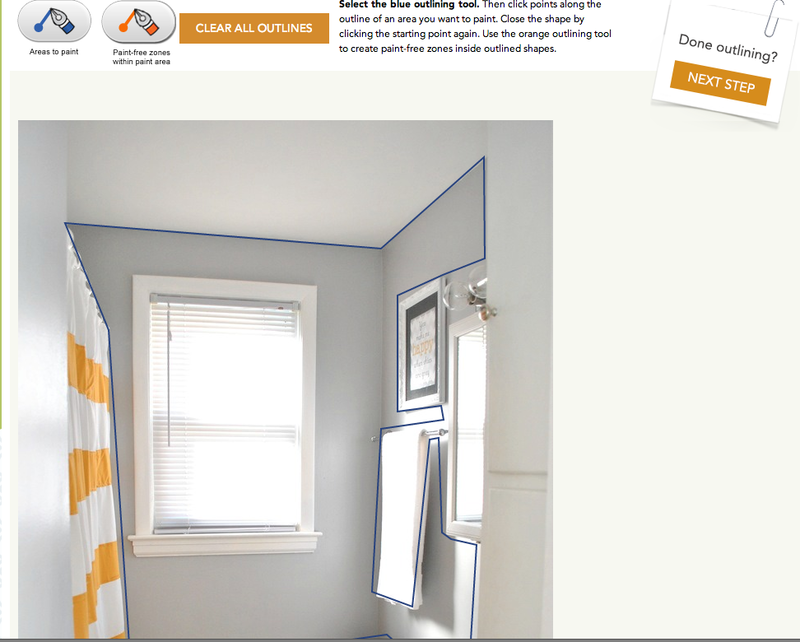 Luckily, I’ve teamed up with Glidden Paint to solve this problem! The current paint color is Glidden paint’s Pebble Grey. I really love the color; I also have it in my kitchen. 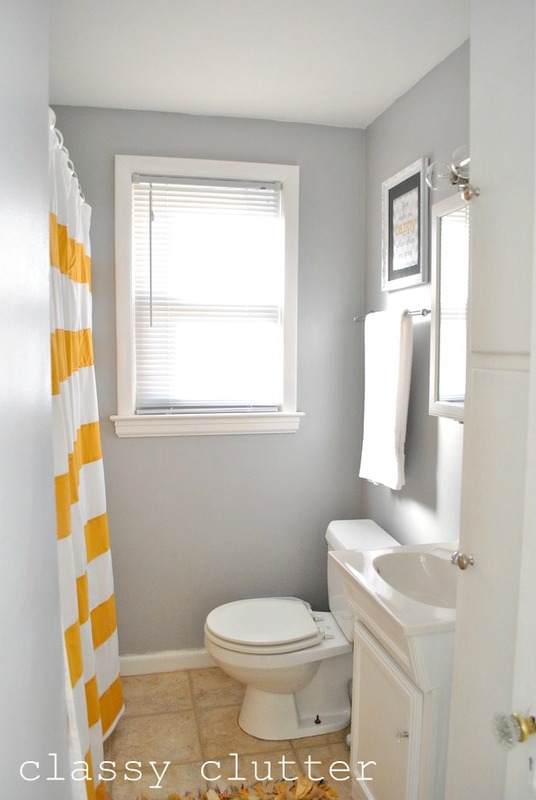 That being said, I wanted to brighten and lighten up the bathroom space since it is sooo tiny! Lighter colors + good light makes a space appear larger than it is in reality. 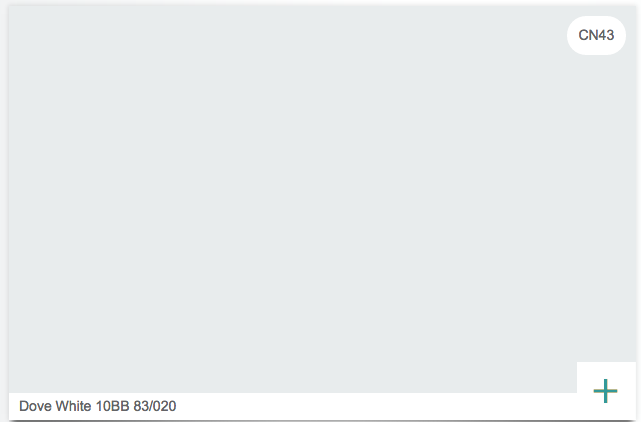 I knew I wanted a white with cool and/or grey undertones so I began searching the color palette on Glidden.com. 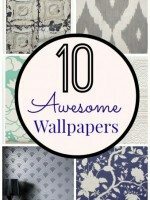 Since I knew I wanted grey tones, I clicked on Grey & Charcoal and began my search for the perfect white for my room makeover. I fell in love with Glidden paint’s Dove White. It’s the perfect color! The next step is to try the color in the room. Whites can be tricky. Depending on the formula of the paint, white can have grey, yellow, lavender, brown, or even pink undertones. 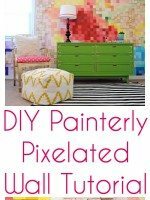 To get a better idea of what it would look like, I used Glidden Paint’s Color my Room feature on their website to try Dove White in the space. You just upload a picture of your room, select the area where you want to paint and voila! Painted room preview! 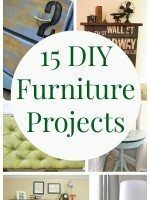 The final step is to get a sample paint and paint a section of the wall before you commit to buying a gallon or however much you need for your room. That way you also get an idea of coverage. If your sample paint giving off a different tone than you like, now would be the time to explore new colors. Also, if the sample is not giving you great coverage over the existing paint color, you can decide if you want to use a primer on the walls or even select a different color. You guys, I’m so excited about this tiny makeover I can’t even tell you!